19.09.2015. Twickenham, London, England. Rugby World Cup. France versus Italy. 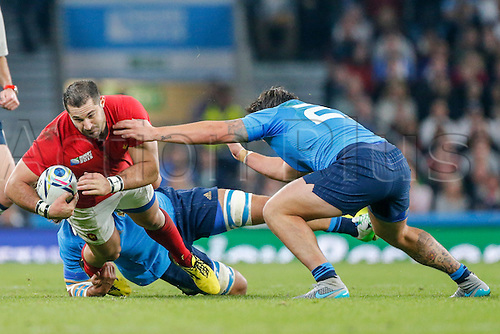 Scott Spedding of France is tackled by Valerio Bernabo (rear) and Enrico Bacchin of Italy. Final score: France 32-10 Italy.